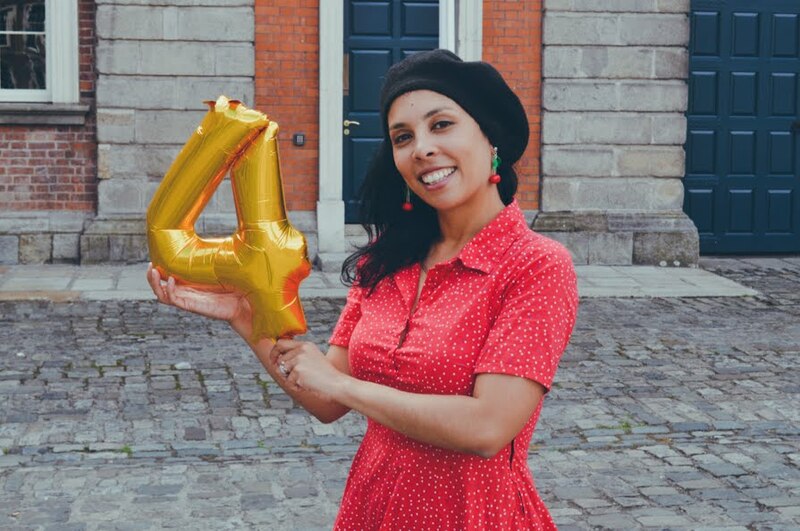 French Foodie in Dublin is 4 years old! Oh hello there! I know, I know... long time no chat. I had my longest blogging break ever and my first complete digital detox (more on this later) but I had a very good excuse: Mr. FFID and I got hitched a few weeks ago! I turned off my phone for two weeks and I haven't updated FFID for almost a month, it felt a little weird... While I didn't miss updating my social media too much (maybe Instagram a little), I've been missing the blog itself... which I think is a good thing, it shows I haven't got bored of it and I still love it after all these years. The blog turned 4 last week while I was offline, I celebrated in style and was thinking of FFID on the day and it may sound silly but I missed it. For me it was French Foodie in Dublin's 4th 'birthday' not 'anniversary' nor 'blogiversary' because to tell the truth FFID feels like my baby, it was born on the 3rd of August 2012 and grew and evolved. It brought me lots of joy and made me proud. It has been my longest commitment after my relationship with Mr. FFID and while it may be just a little website to others, it is a huge part of my life. What started as a hobby helped me create a different professional path and I've been enjoying the journey so far. I started the blog out of passion and I'm still writing it from the same perspective, writing only about places or things I'm happy to recommend. Choosing my content carefully, always keeping my readers in mind as well as my own enjoyment in order to always be excited when I click the 'publish' button. It isn't always easy, blogging requires a lot of time and commitment if you want to be consistent but between work and my personal life I always make time for it the same way I did when I started. Blogging has changed a lot in the last few years and I guess it will evolve a lot too considering how micro blogging and temporary content is on the rise at the moment, but for me posting articles here is my favourite thing. I don't know if I will still be blogging in 4 years from now but at the moment I don't see myself stopping anytime soon. I'm very grateful to the people who have been reading this website and interacting with me over the last four years, this is what has kept me going and without them FFID wouldn't be here today. Merci for sticking with me for the last four years and the 400+ blog posts! PS: On a blogging note, I will be running a 5 week 'Introduction to Blogwriting' course at the Irish Writers Centre from the 21st of September. You can find all the information on the Irish Writers Centre's website.